Little is known about the Children of the Storm—one of the most unique and potentially dangerous species the Federation has ever encountered. 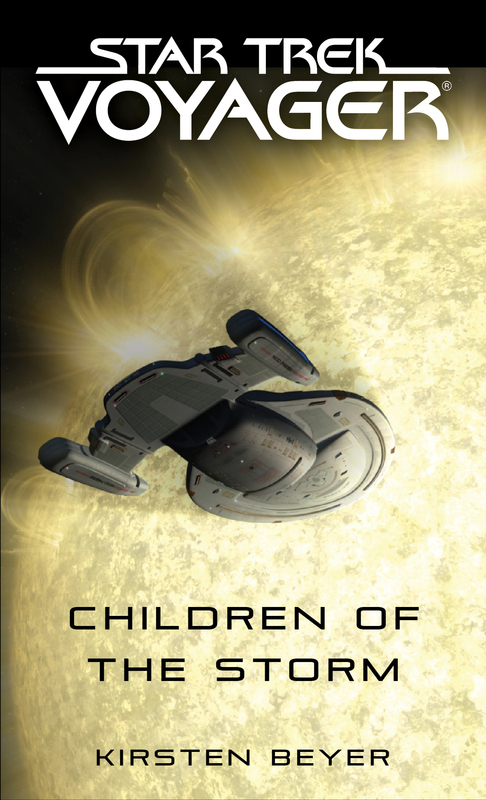 Non-corporeal and traveling through space in vessels apparently propelled by thought alone, the Children of the Storm at one time managed to destroy thousands of Borg ships without firing a single conventional weapon. Now in its current mission to the Delta Quadrant, Captain Chakotay and Fleet Commander Afsarah Eden must unravel whythree Federation starships—the U.S.S. Quirinal, Planck, and Demeter—have suddenly been targeted without provocation and with extreme prejudice by the powerful Children of the Storm . . . with thousands of Starfleet lives at stake from an enemy that the Federation can only begin to comprehend. . . .